J2 Open Disable weak ICE MCLR pull-up resistor. Short Enable weak ICE MCLR pull-up resistor. Additionally, this header has jumpers related to the LDO voltage regulator. Depending on the device pin used for this function, you would use either J4 (RA0), J5 (RA5) or J6 (RA6) for Vcap selection. 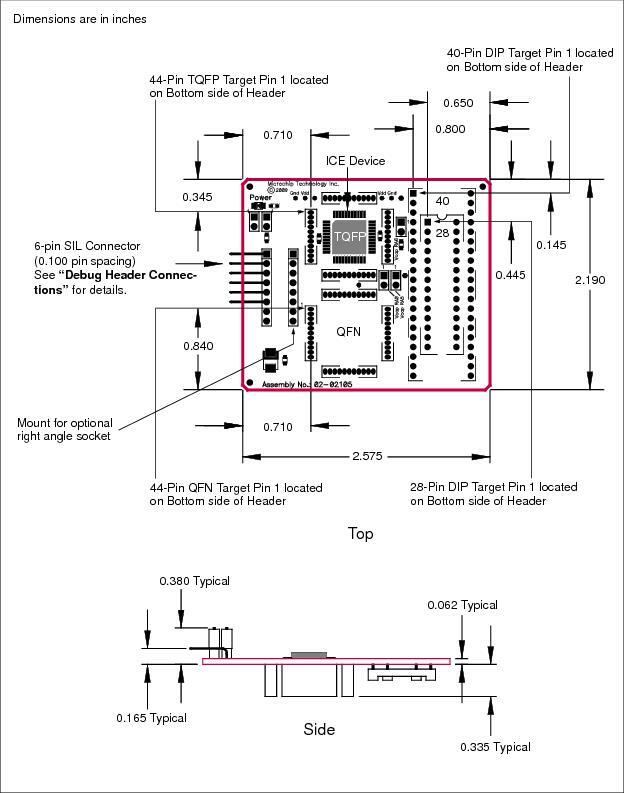 For details on the voltage regulator, see the PIC16F72X/PIC16LF72X Data Sheet (DS41341). or J6 Open Use only target capacitance for Vcap. This is the standard configuration. Short Use both on-board and target capacitance for Vcap. between the emulation header Vcap pin and the target Vcap pin. This header has jumpers available for MCLR pull-up and power LED control.